The measure was among the most sweeping of several congressional efforts to broaden the current religious exemption in the birth control rule, which only fully exempts explicitly religious organizations such as churches from its requirement that worker health plans include contraceptive coverage with no out-of-pocket charges. Many opponents of the Blunt amendment suggest that contraceptive pills are a fundamental right of health that cannot be impeded by religious liberty in a privatized healthcare system. That sort of thinking is operating at the height of stupidity. If a Catholic hospital was charitably formed and founded upon specifically catholic principles, it is unadulterated arrogance and is the very antithesis of freedom and liberty to suggest that they must defy their longstanding beliefs to cower to the whims of a frivolous, totalitarian state. There is absolutely no legal precedence that would allow the government to mandate doctors to defy their religious convictions, unless of course they went through the necessary steps of amending the constitution to appeal the constitutionally protected rights listed in the 1st amendment. 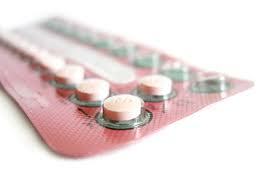 I don’t have some vested interest for or against contraception, I generally just don’t care. I do, however, have a genuine interest in human freedom. There will be no shortage of contraception available for those who need it from institutions that do not have a specific, longstanding doctrine against it. Get over it.